Wrapped In White is Out, and it’s Me Day! It’s me day! 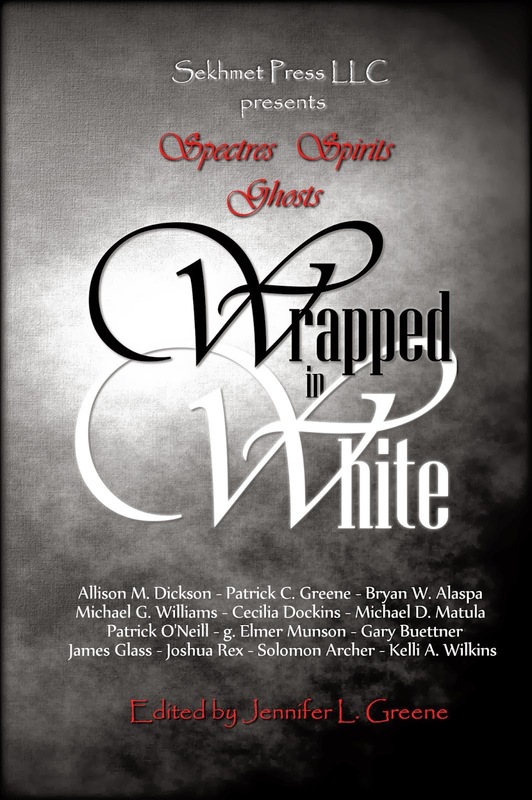 Wrapped In White is available now at Amazon, B&N, and Apple so if you’re looking for some ghost story action, be sure to check it out. You can also find it on Goodreads. My story John is included, and I’ve heard some great feedback, including one reviewer who compared John to Hansel and Gretel in hell. I can live with that! The book is getting some great reviews overall, and there are a slew of contributing author interviews to support the book. Today is “me” day, so if you want to know a bit about what makes me tick, check out my interviews hosted by the fabulous Patrick C. Greene, Allison M. Dickson, and Killion Slade. There are 13 takes from 13 authors, so keep checking the above linked blogs to hear from the other super talented folks as well.